Madrid is too often overlooked by international travelers. Far from the beaches of Valencia and San Sebastian, the whitewashed villages of Andalusia, and the iconic architecture of Barcelona, tourists may not place it at the top of their travel lists– but they should. Once people experience the vibrancy and hospitality of Spain’s capital city, there’s no denying it’s one of Europe’s treasures. Here’s my step-by-step guide to experiencing the top spots in Madrid in just one day. You’ll want to get started early to take full advantage of the day, especially in the scalding summer months to avoid the afternoon heat! Head to a café for a quick and traditional Spanish breakfast: toast with tomato and olive oil or butter and jam. Wash it down with a café con leche for a quick kick of caffeine. It’s not the world’s heartiest breakfast… but there will be plenty of time for snacks later. A traditional Spanish breakfast—with plenty of olive oil. Madrid is an incredibly walkable city, and it’s easy to visit all the main landmarks on foot. Start at the center of it all: Puerta del Sol, featuring the famous statue El Oso y el Madroño (The Bear and the Strawberry Tree). From there, walk down Calle Mayor toward the river. Stroll by the Teatro Real, the Royal Palace, and Almudena Cathedral. Since you’re short on time, don’t worry about going inside; these places are just as impressive from the outside as they are within. Wander down to La Latina and admire the old buildings and their balconies. The narrow, winding streets make it easy to get lost, but that’s part of their charm. 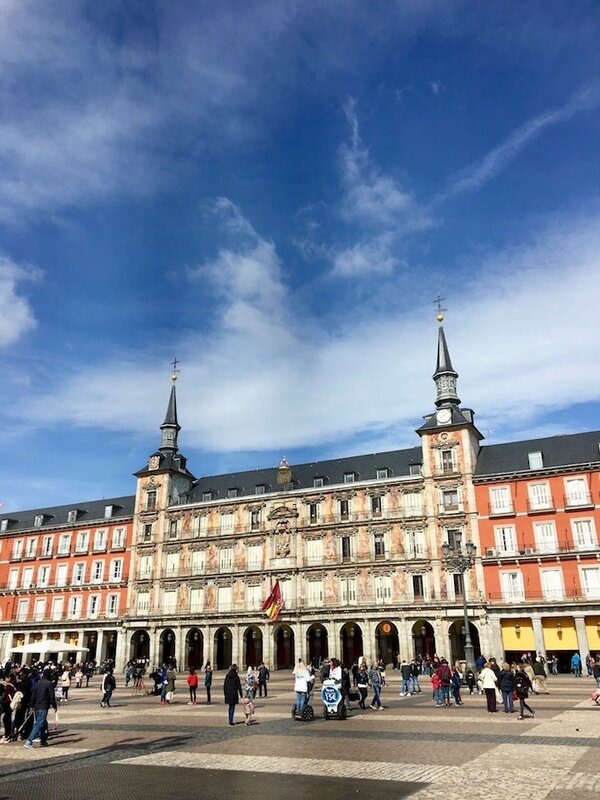 Find your way to Plaza Mayor for a glimpse of the city’s iconic central square. Take a break and grab something from one of Madrid’s many bakeries. I suggest a croissant or a chocolate-filled napolitana. 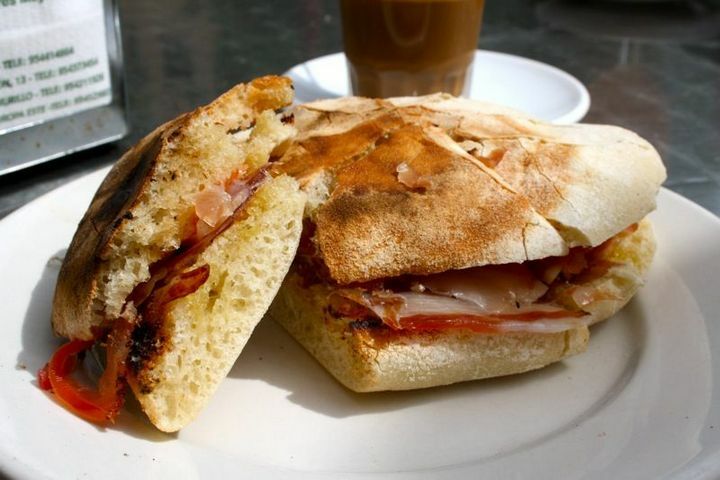 A mid-morning snack is essential to keep up your energy, as Spanish lunchtime isn’t until 2 or 3 p.m. This is a great time of day to relax on a terrace and do some people-watching! 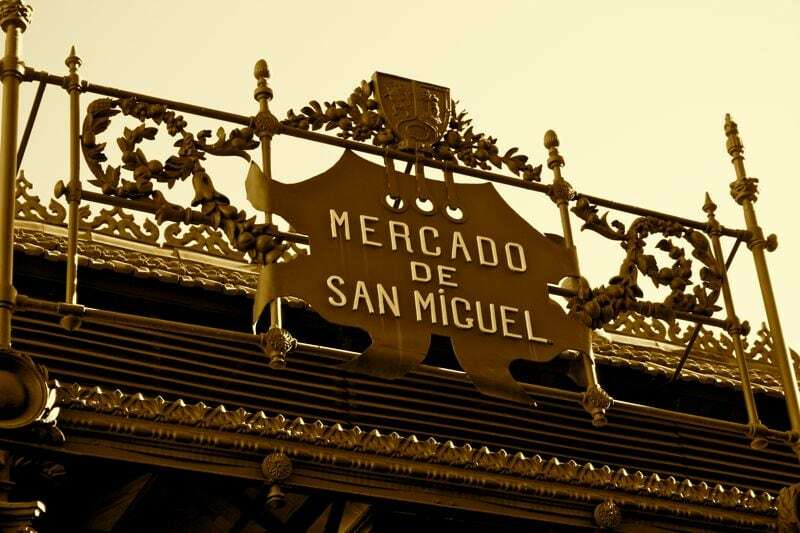 Alternatively, you can visit the historic Mercado de San Miguel near Plaza Mayor, one of the city’s most vibrant displays of Spanish cuisine. Opened in 1916, this gorgeous iron-sided market hall offers everything from fresh fish to artisanal chocolates, to suit every appetite. Mercado San Miguel is a must for food lovers in Madrid. Delicious jamón at the market. You can’t leave Madrid without getting a souvenir. If you haven’t already picked up some local Spanish products to take home from the market, now would be a good time to do so. If you’re looking for something a bit gaudier (no judgment) there are plenty of kitschy shops scattered around the center. Gran Vía is Madrid’s main shopping street, with all the major brands. From Primark to Nike to Zara, you can find just about any kind of clothing or accessories here. Even if you’re just window shopping, it’s worth wandering down the street to marvel at the juxtaposition of ornate buildings and giant Times Square-style ads. For more of a boutique experience, head north of Gran Vía into the Malasaña and Chueca neighborhoods. Stroll the small streets in search of the perfect indulgence. Madrid’s main shopping street, right in the city center. After all that shopping and walking, you’re sure to be hungry by now. If it’s a weekday, take advantage of the menus del diá many restaurants offer. For 10 to 15 euros, you’ll get your choice of a first course and second course, plus a drink, bread, and dessert or coffee. Not sure where to go? When in doubt, follow the locals. 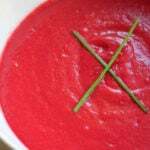 Avoid places advertising their menus with bright photos and signs in English. The best food can often be found in the quieter spots, many of them tucked into the alleyways of La Latina and Lavapiés. I can personally recommend Badila, a no-frills spot with fresh seafood, hearty entrées, and an authentic atmosphere. 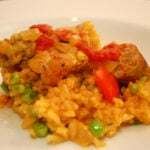 Want to truly delve into the world of Spanish food? 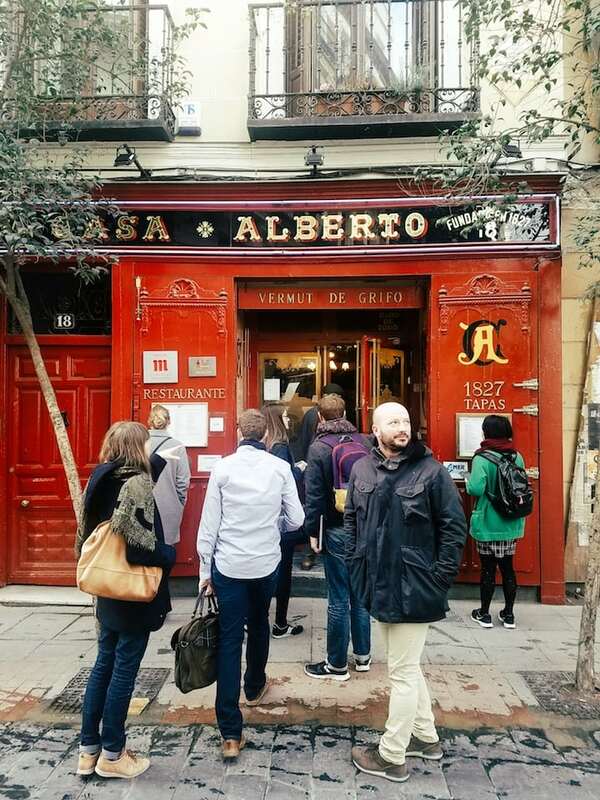 Try a Madrid food tour! 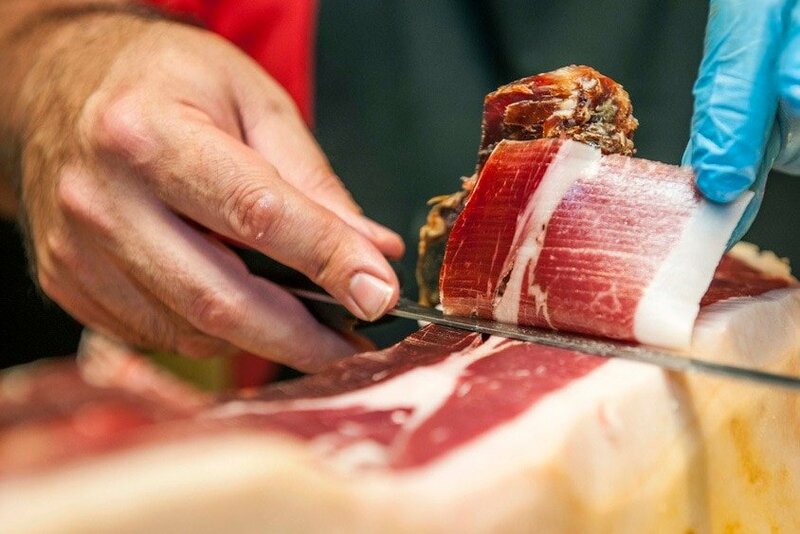 The Ultimate Spanish Cuisine Tour gives you exclusive access to the city’s most iconic eateries. 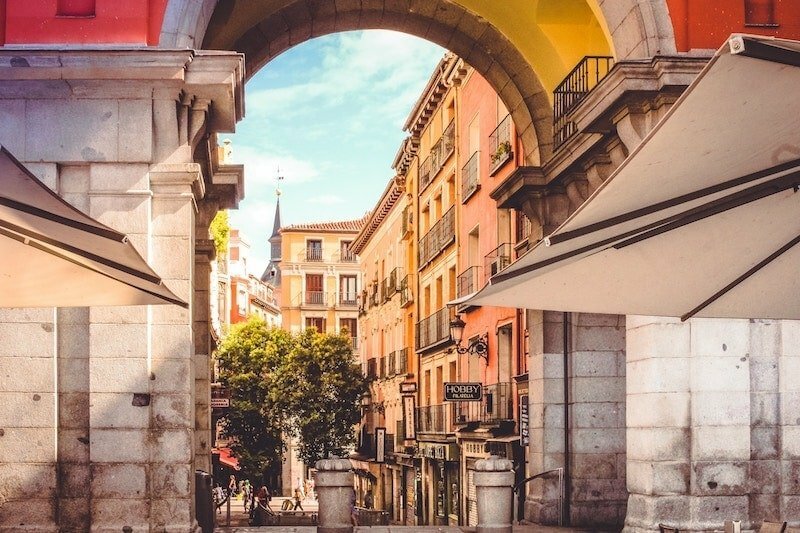 Madrid is especially famous for its museums; three of Europe’s best are within walking distance of each other, in the city’s “Golden Triangle of Art.” Even if you’re in a rush, I suggest choosing one and spending a couple of hours there. There’s the Prado, with its world-famous collection of classical art (including The Garden of Earthly Delights and Velazquez’s Las Meninas). Then there’s the Thyssen-Bornemisza, with its private collection of European masterpieces. But my favorite is the Reina Sofía, featuring the work of contemporary Spanish artists like Dalí, Miró, and Picasso—including Guernica, one of the latter’s most famous paintings. The impressive exterior of the Prado Museum. For an unforgettable experience, take a Prado Museum Tour and enjoy a VIP lunch at the world’s oldest restaurant! After wandering around indoors for a while, get some fresh air. 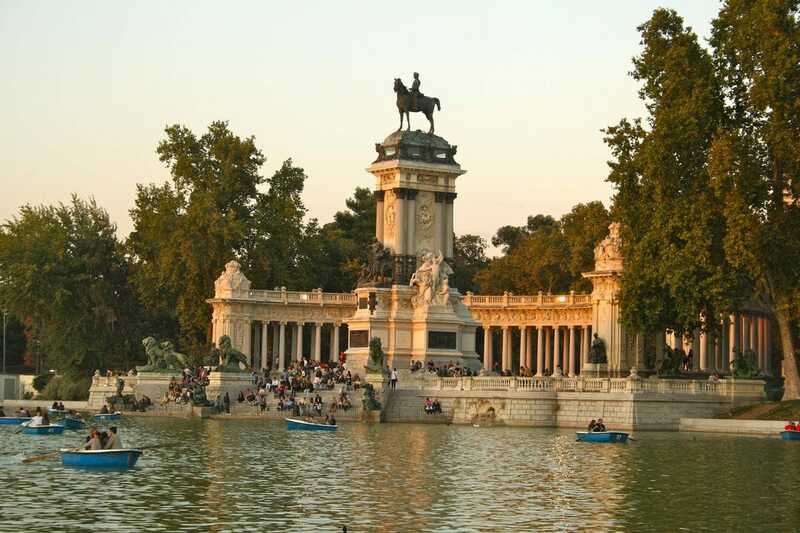 There’s no better place to do it than Retiro, Madrid’s most popular park. It’s conveniently located right beside the museums, making it a natural next stop on your whirlwind tour. Explore the park’s many paths, discover its impressive rose garden, marvel at its glass palace, and row a tiny blue boat on its picturesque lake. You can grab a merienda (mid-afternoon snack) from one of the cafés or food vendors. Or just find a patch of grass, relax, and soak in the sunshine. If there’s one iconic image that represents Madrid, it’s the panoramic view of Gran Vía and the Metropole building from one of the city’s coolest bars. Head back toward the center from Retiro and ascend to the azotea (rooftop terrace) of the Círculo de Bellas Artes. Seven floors above the city, this bar and restaurant has a nearly 360º view of Madrid’s historic heart. It makes for the city’s most spectacular sunset and infinite Instagram opportunities. There’s a small fee to enter and the drinks aren’t cheap, but the experience is worth it. 10:00 p.m. – Tapas time! After the sun sinks below the horizon, it’s time to take part in my favorite Spanish tradition: tapas. Rather than posting up at a restaurant, I suggest hopping from bar to bar to experience as many places as possible. Order a few tapas to share at each place, along with a drink. Try Casa Alberto’s legendary tapas and vermouth on tap. 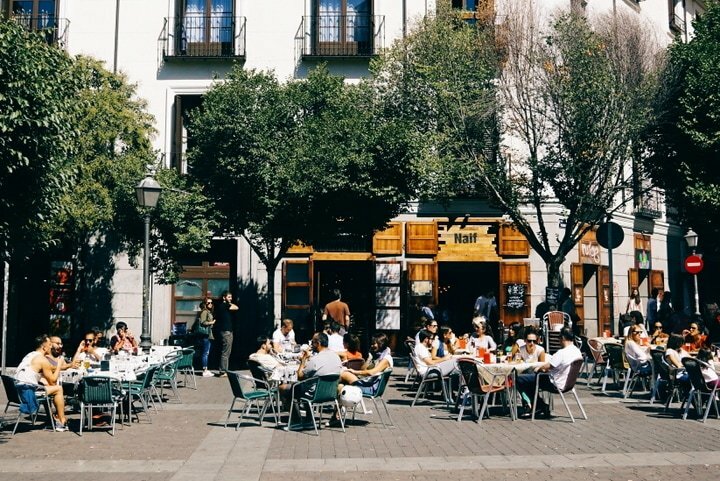 One of the best tapas areas is Huertas, a neighborhood known for its rich literary history. Here you can have a glass of sherry in the intensely atmospheric La Venencia, or a vermouth—and torreznos—from the legendary Casa Alberto. 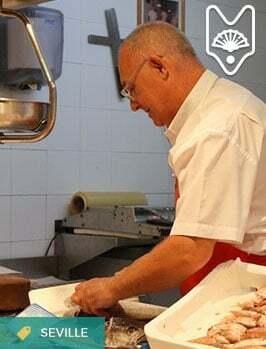 If you want to walk back to La Latina, check out Calle Cava Baja: one long street populated by dozens of historic establishments serving up Spanish specialties. For the most authentic tapas experience, try the Tapas Like a Local Tour! It’s been a long day, and if you’re ready to get some rest, I don’t blame you. But if you want to have a true Madrileño night, the party is just getting started. In Spain it’s customary to go out quite late; after 12 is acceptable, but 2 a.m. is average. If you’re feeling adventurous, toss back a café con leche and head out on the town… and don’t expect to come back until sunrise. 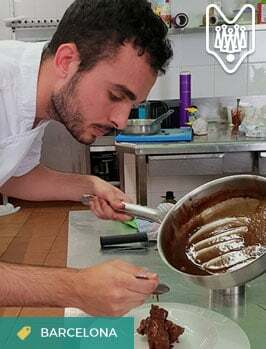 Whether breakfast is an extension of the wild night before or you’re well-rested after a good night’s sleep, greet the morning with the classic Spanish sweet: churros con chocolate. These crispy, sugar-coated strings of fried dough are traditionally eaten early in the morning, dunked into a cup of thick, rich hot chocolate. 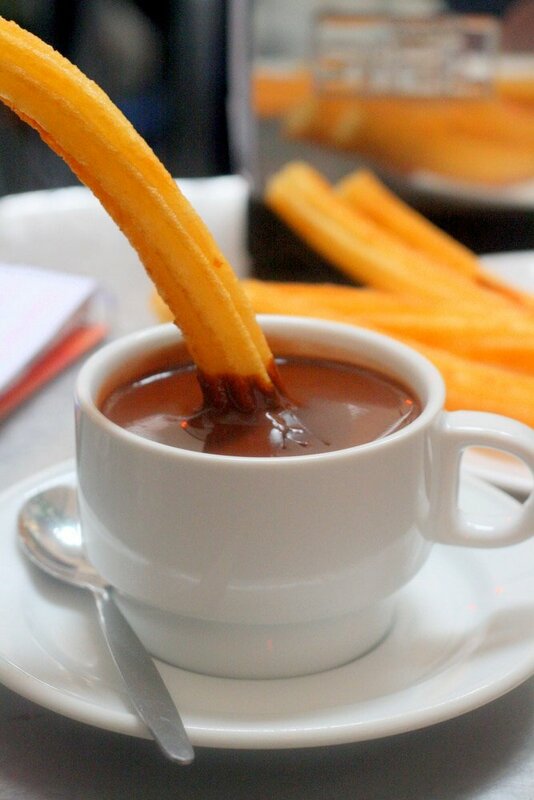 Dipping a fresh churro into a mug of hot chocolate… one of Madrid’s essential experiences. Chocolatería San Ginés, near Puerta del Sol, is open 24 hours and is the most quintessential setting to indulge in this snack. And you deserve to treat yourself–you’ve made it through 24 action-packed hours in the Spanish capital! 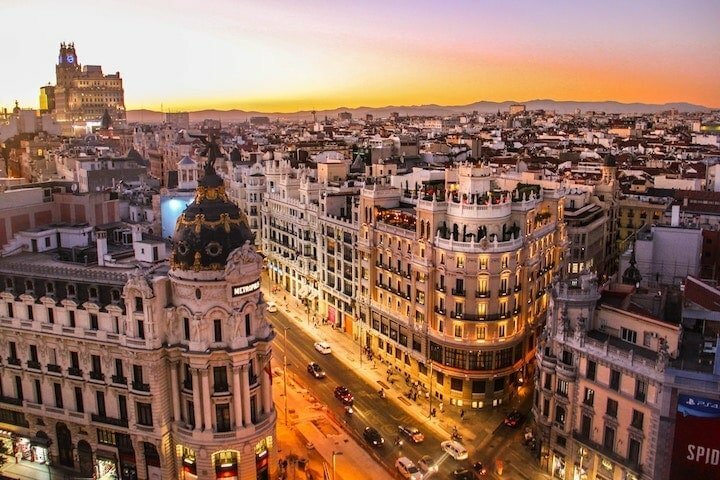 Got any tips or ideas about how to best spend 24 hours in Madrid? Let us know in the comments! 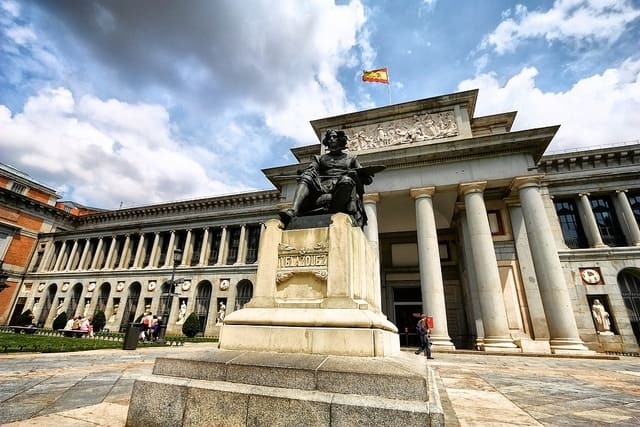 Excellent roundup of Madrid, the Prado Museum has to be the one place people should visit. Prado for sure! Glad to see it’s just as popular today as it was when I was a student in Madrid 1978!!! And now I haven’t been to Europe in 10 years!! Looks like a great itinerary for a one day visit. We are arriving December 24th and leaving December 26th. Cat told me to review your blog post. FYI. If you have any thoughts for Christmas day in Madrid, please share. Thank you kindly young lady! Hi Mike! It’s definitely a great way to spend the day. Christmas is tough, given the fact most things are closed. 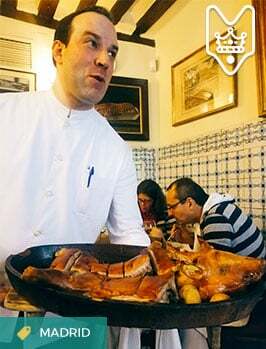 Here are some tips from last year: https://madridfoodtour.com/madrid-at-christmas/ and a rundown of some of the traditions you’ll see https://madridfoodtour.com/christmas-traditions-in-madrid/. My best advice would be to stay somewhere with a kitchen if possible, and to stock up on delicious Spanish foods on the 24th to enjoy with wine and cava on the 25th. And that way you don’t have to worry about going out to eat that day (and can just take a nice walk and enjoy the Christmas lights). Spain is beautiful! There is so much to do. I hope I can have the opportunity to visit again. My husband and I are getting ready to make the trip this coming winter and we will be in Madrid for a little over 24 hours. We were looking for just the kind of information that you shared so thank you very much for the inside! Hola, Thank you so much for this information. we are doing 1 day Madrid 1 day Granada 1 day Malaga and then of to Morocco . Can you suggested an air bnb or a best location for 4 girls to say 11 night and do all of that. We hope to take the train to Granada. Is that a good idea? Do y have any information on the other cities? again muchas gracias. this is my birthday gift. May 28 to June 7th. I would definitely recommend only choosing two of the three places you mention. I would never intentionally spend so little time. 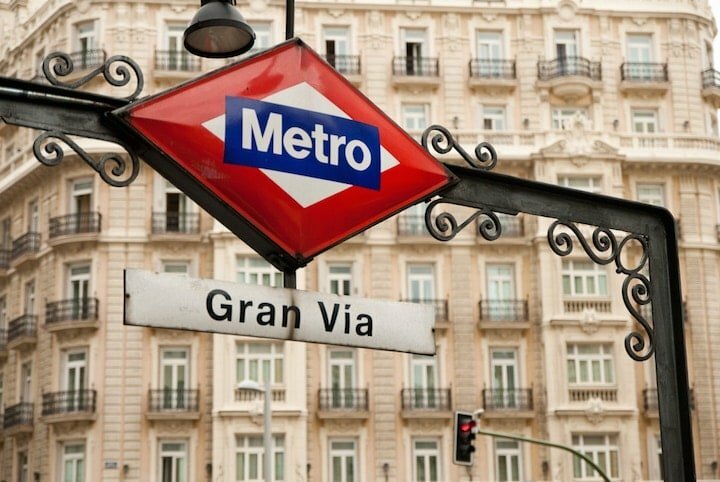 Madrid is about 4 hours by bus/train to Granada and under two hours to Malaga. So that is something to keep in mind. My favorite combo is Madrid and Seville personally. I would definitely want to spend more than one day in Granada after that trip. Madrid and Malaga would work best from what you have listed. 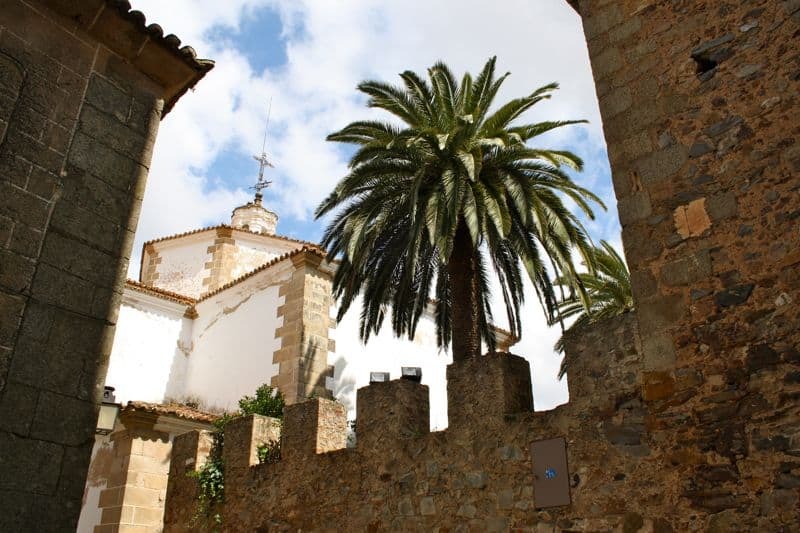 My site is full of info on Granada and Malaga too – just search at the top and click on that category. Have a great trip!